← Tree hunting adventures with the family! Nothing says holiday more than a big bowl of nuts. That’s right, growing up I specifically remember there always being a big bowl of nuts- still in there shell, along with nutcrackers at holiday gatherings. Although it looks great and is fun to do, I found it a bit frustrating, as I was never able to keep any of the nuts “whole” while removing the shells. These days nuts have become a staple in my diet and I have been preparing them different ways for variety in taste and texture. 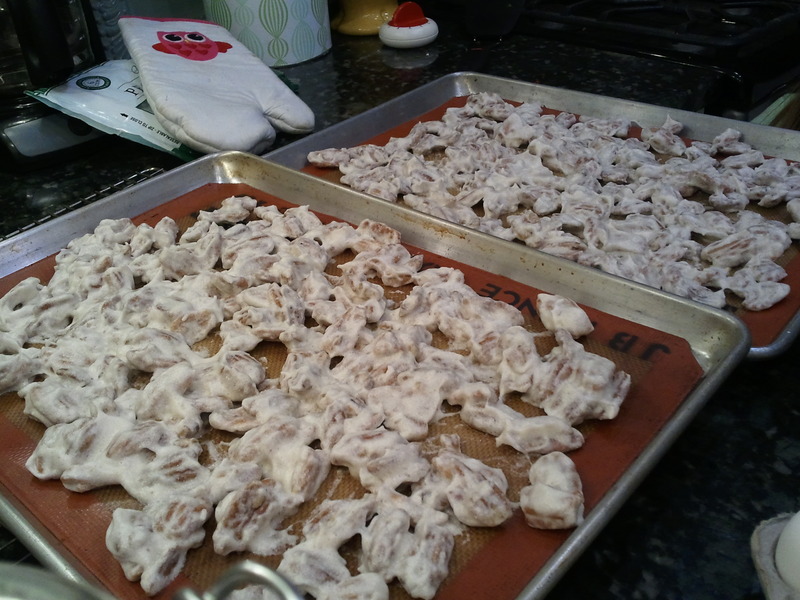 This specific candied pecan recipe requires a bit of time, but is well worth it. 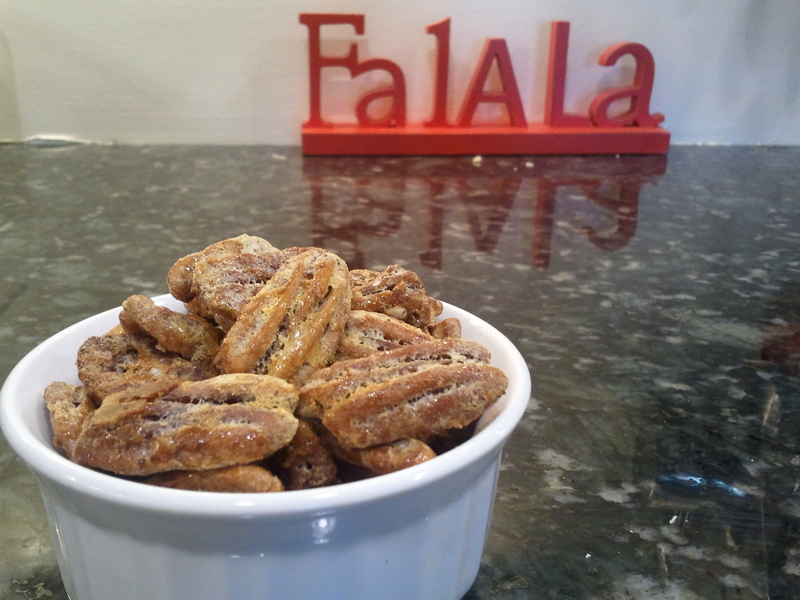 They are great served along a fruit and cheese platter or make a great snack anytime. Stay festive and go nuts! 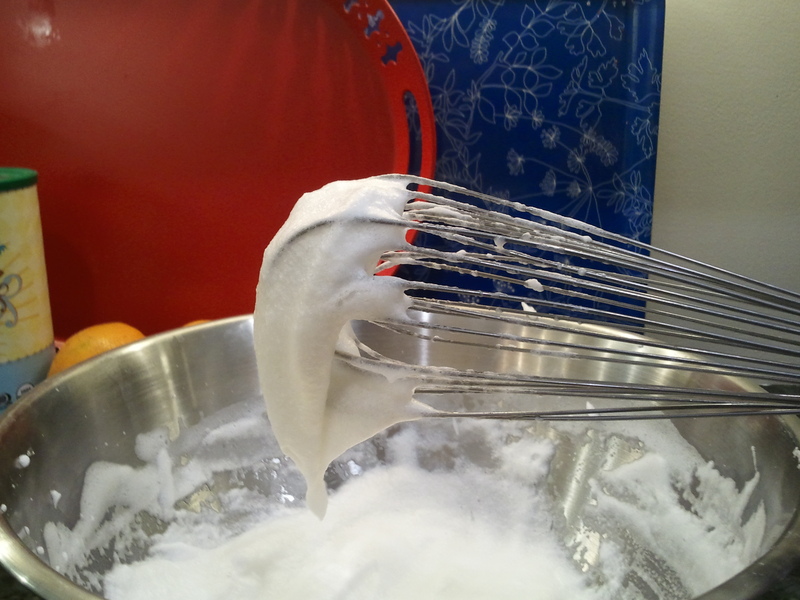 Whip eggwhites to stiff peak. Whisk in honey, salt and cinnamon. Spread on parchment/silpat lines baking sheets. Bake for 3-4 hrs, stirring once every hr. Bake until the nuts are light and crispy in texture. Oh am I going to have to try these! They look so yummy!! I don’t have those liners. Will Parchment paper work okay? ?